Why is Blimpie Called Blimpie? 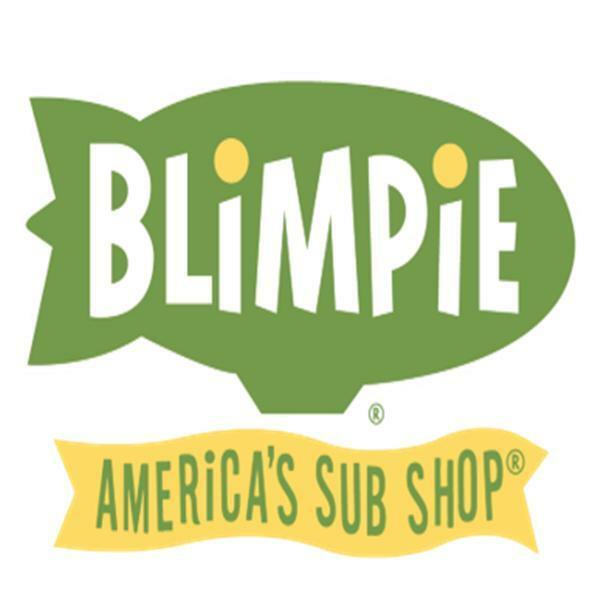 At over 50 years old, Blimpie is America’s oldest submarine sandwich chain. Featuring huge classic subs, fresh ingredients, and a unique name, it’s a chain that’s beloved by many – though it’s certainly seen better days. At its prime, Blimpie had nearly 2000 locations. Today, it’s down to only 304 in the United States. 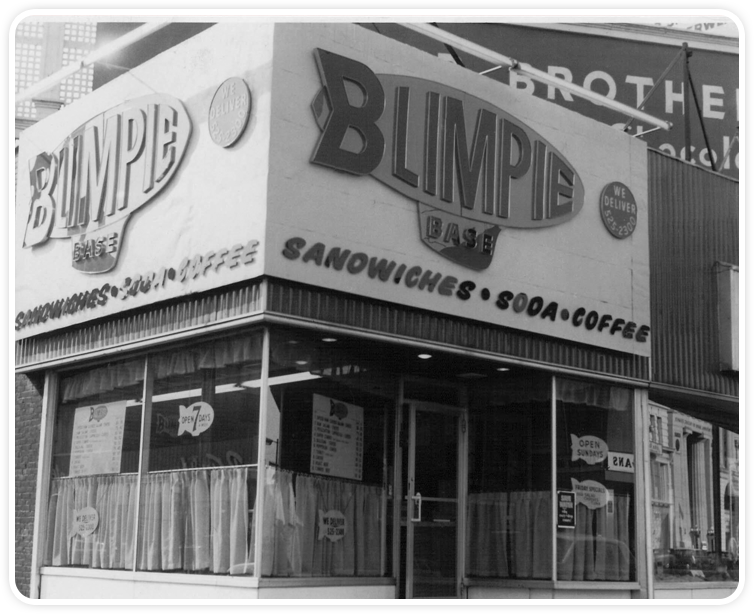 The first Blimpie sub shop was opened on May 1964 in Hoboken, New Jersey by a group of three friends, Tony Conza, Peter DeCarlo, and Angelo Baldassare. They each were only 24 years old at the time, and had met in high school in Jersey City. Inspired by the successful New Jersey restaurant, Mike’s Submarines (which would later become the first location of Jersey Mike’s Subs), the three thought a similar restaurant would do well in Hoboken. They borrowed $2,000 from a friend and opened up their first store. Why is it Called Blimpie? Conza was the one who ultimately settled on the name Blimpie. He wanted a unique name for the sandwiches themselves as well as for the restaurant – he didn’t want to call them subs, hoagies or sandwiches. So, Conza turned to the dictionary! He looked through it, starting with “A.” When he came to “blimp,” he realized that the word “blimp” visually represented both the shape and large size of the subs they’d be selling. Thus, Blimpie was born! The original Blimpie store was a total hit, and it wasn’t long before customers started asking about franchises. 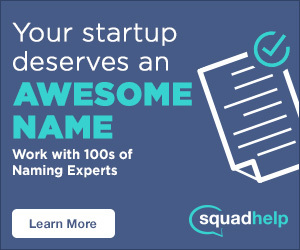 The first franchise was sold during the company’s very first year in business. Shortly after that, Baldassare decided to leave Blimpie, but Blimpie still continued to grow, selling franchises in the northeast and Mid-Atlantic. In 1976, Conza wanted to continue to expand into the south, but DeCarlo was against the expansion. The two friends decided to split the company in two, putting DeCarlo in control of a new company, called Metropolitan Blimpie, which controlled franchising rights in New York, New Jersey, and other parts of the East Coast. Conza remained chairman and CEO of Blimpie through January 2002. Blimpie faltered for a time when Conza redirected his attention to opening a series of southwestern restaurants called Border Café. Though the café itself did reasonably well, the shift in focus ended up being a big problem for Blimpie. Competitor Subway was beginning a major expansion that allowed it to overtake Blimpie as the world’s foremost submarine sandwich chain, and Blimpie’s stock began to plummet. In 1988, Conza shifted his focus back on Blimpie. By 1990, Blimpie had recovered to its former glory, though it was still far behind Subway. It continued to grow steadily, and by 2002, its number of locations nearly reached 2000, located in 47 states and 15 other countries. In recent years, Blimpie has struggled to stay relevant in the face of stiff competition and three ownership changes. Between 2001 and 2011, Blimpie closed over a thousand stores and its sales declined 60 percent, to just over $110 million. Today, it’s down to just 304 U.S. locations – putting it not just behind Subway, but also Quiznos, Jimmy Johns, and Jersey Mike’s. Of the major sub sandwich franchises, my favorite is Jersey Mike’s! What’s your favorite place to get a sub sandwich? Let us know in the comments!